This one is for my Mom. Supplies: Stamps – My Favorite Things, Papertrey Ink, paper – Neenah Classic Crest Solar White, Stampin’ Up! Cherry Cobbler, Pumpkin Pie, inks – Stampin’ Up! Cherry Cobbler, Close to Cocoa (retired), Crumb Cake, Old Olive, Pumpkin Pie, Summer Sun (retired), VersaMark, die – My Favorite Things, sequins – Pretty Pink Posh, embossing powder – Stampendous Gold Detail, metallic cord – Paper Mart. 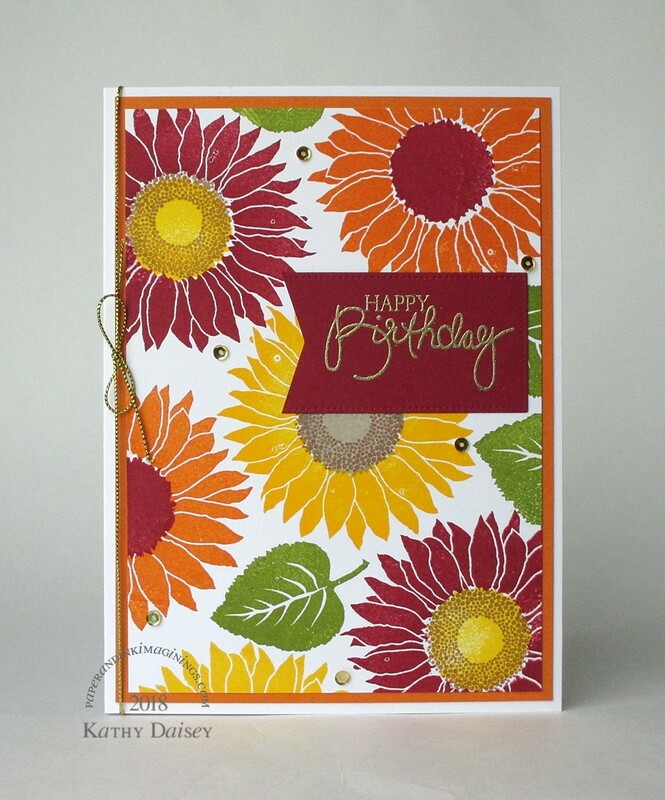 Categories: birthday, card | Tags: card, My Favorite Things, Neenah, Paper Mart, Papertrey Ink, Pretty Pink Posh, Stampendous, Stampin' Up!, Tsukineko, VersaMark | Permalink. That should brighten her day a lot.